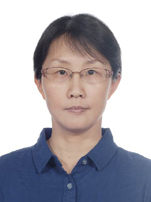 Jun Lu, Yi-Mei Yin**, Zi-Feng Ma*, Preparation and characterization of new cobalt-free cathode Pr0.5Sr0.5Fe0.8Cu0.2O3Ld for IT-SOFC, International Journal of Hydrogen Energy, 2013, 38, 10527 -10533. Yi-Mei Yin, Ming-Wen Xiong, Nai-Tao Yang, Ze Tong, Ya-Qin Guo, Zi-Feng Ma*, Ellen Sun, Jean Yamanis, Bu-Yun Jing, Investigation on thermal, electrical, and electrochemical properties of scandium-doped Pr0.6Sr0.4(Co0.2Fe0.8)(1Lx)ScxO3Ld as cathode for IT-SOFC, International Journal of Hydrogen Energy, 2011, 36, 3989-3996. Yimei Yin, Hongbin Zhang, Katsuyoshi Nishinari, Voltammetric Characterization on the Hydrophobic Interaction in Polysaccharide Hydrogels, Journal of. Physical Chemistry B 111, 1590-159 (2007).